Do you have bad smelling breath? Do you avoid social situations because of it? 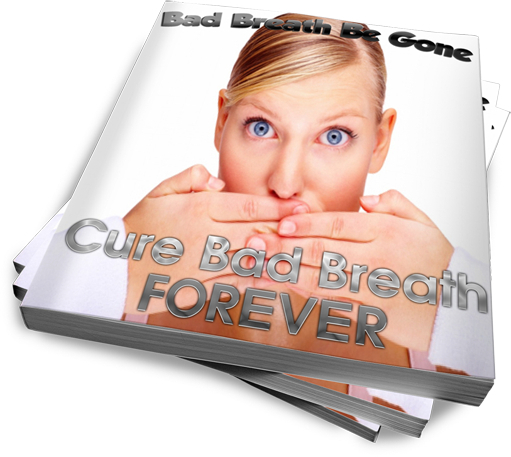 Would you like to be free of bad breath FOREVER? Want to know how to save hundreds on oral products? Dearest reader. Thank you for purchasing this eBook. If you have bad breath don't worry! I don't judge you and I understand. But I assure you that if you read and apply the methods in this resource you will see results that clear up your bad breath for good! See I once suffered from bad breath or "halitosis" as it is otherwise known as. Fortunately, halitosis is totally treatable! I have tried many pills, medicines and all kinds of natural, modern and ancient remedies to cure my halitosis for good. And during this time I set out to learn as much about halitosis and curing it as possible. And I've put all this information together for YOU to cure your OWN halitosis... FOREVER!